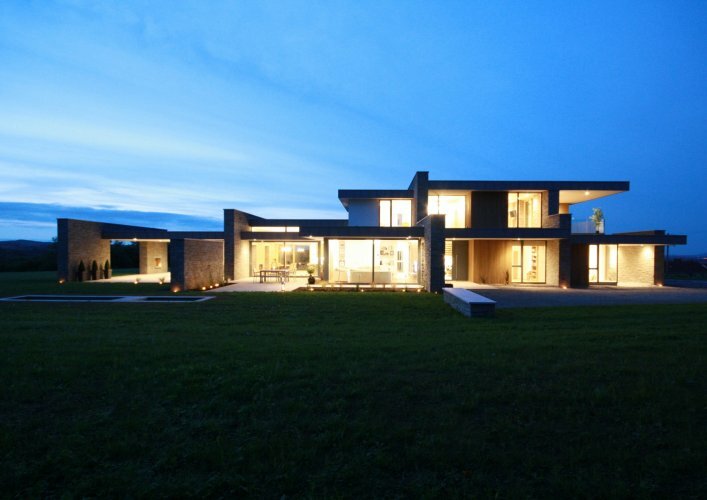 The Wall House is a contemporary residential project designed by the talented Niall Smith Architects based in Kingscourt, Co. Cavan. McMonagle Stone was delighted to supply material for this impressive home. Influenced by the rural landscape of Ireland, the house consists of a series of drybuilt Grey Sandstone walls, which breaks the project into multiple internal and external spaces.The natural stone walls run through the house and the stairs seem to effortlessly cantilever from a stone wall in the impressive double height entrance. The exterior walls are capped with our Irish Blue Limestone Coping. The areas between the stone walls are made up of glazed floor-to-ceiling glass which overlooks three outdoor terraces of varying sizes. 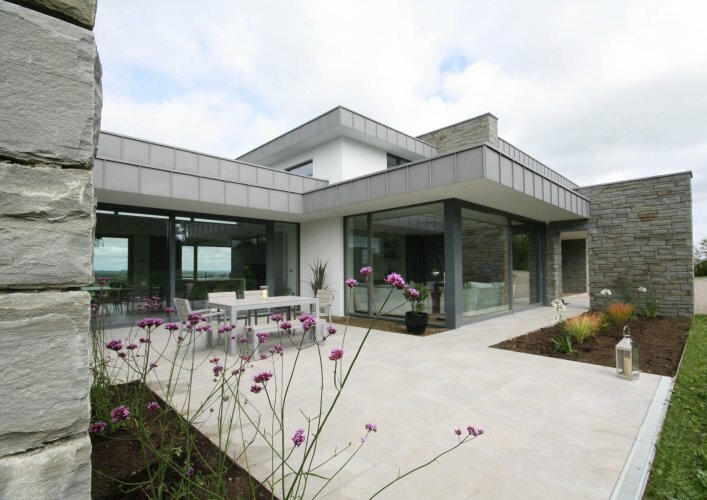 The outdoor spaces extend out from the footprint of the house, increasing square footagewere and were completed using McMonagle Stone's contemporary Moov Grey 600 x 600 x 20mm exterior porcelain tiles. The Wall House has been shortlisted in the Building and Architect of the Year Awards 2018 in the category of 'Single House Building of the Year'. Category winners will be announced at the award ceremony taking place in the Round Room at the Mansion House, Dublin on Thursday, 4th October 2018. McMonagle Stone wishes Niall Smith and the team the very best of luck.